If you are a perfectionist like me hosting a party can tend to be overwhelming and stressful trying to make sure everything is perfect for your guests. 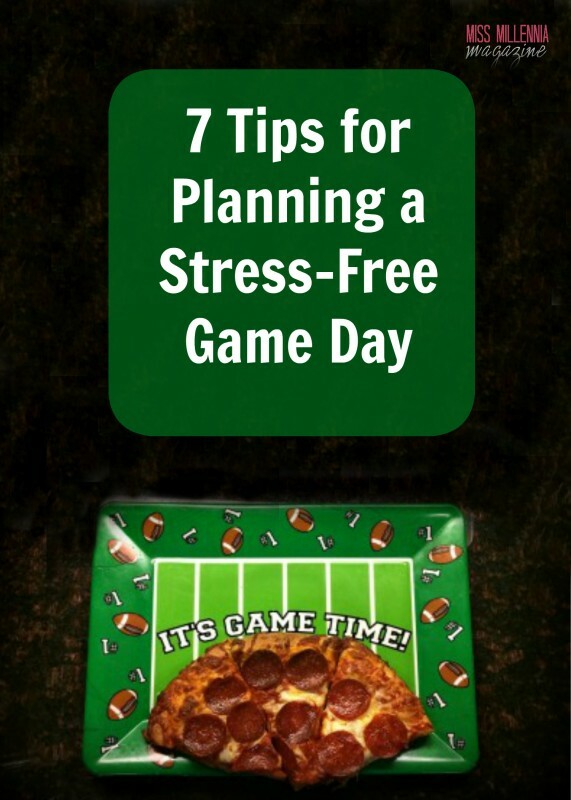 However, game day parties are supposed to be a time to let loose a bit and cheer on your favorite team, win or lose. Whether your party is big or small on Sunday, these tips should ensure that your party goes smoothly and that you and your guests will be able to enjoy the game. 1. Plastic is the way to go. The last thing you are going to want to do after preparing and hosting a party is clean a mountain of dirty dishes. Easy solution? Buy plastic cups, silverware and plates. AKA no dishes! If you are like me and dishes are your least favorite household chore, this idea is seriously a game-changer! Just because they are a cheaper and disposable option doesn’t mean you have to skimp on style, plastic ware comes in every color and pattern imaginable. Peanut butter and jelly. Wine and cheese. Baseball and cracker jacks. Football and pizza. These pairings are no brainers! Who really doesn’t love pizza? 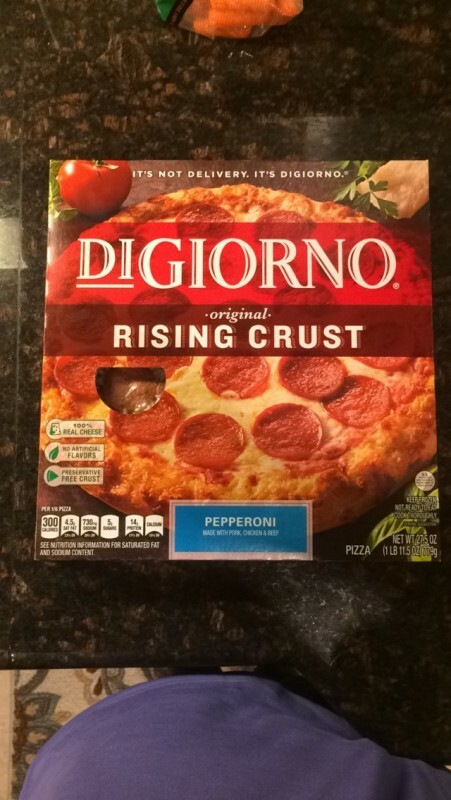 Rather than worrying about prepping chili, burgers, wings and other main dishes that take a lot of time, you could instead buy a DIGIORNO Original Rising Crust pizza. 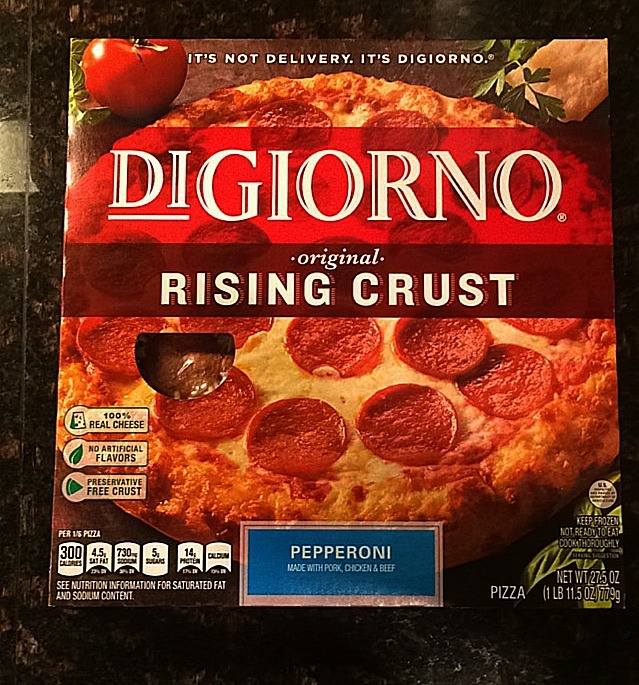 DIGIORNO pizza offers toppings everyone can enjoy like classic pepperoni or Hawaiian at a great price that won’t hurt your wallet. Want even better news? 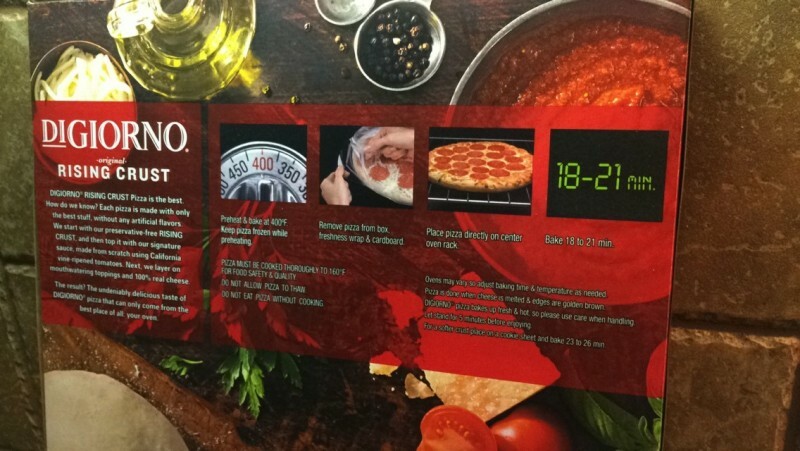 You can have hot, delicious pizza ready in 20 minutes! 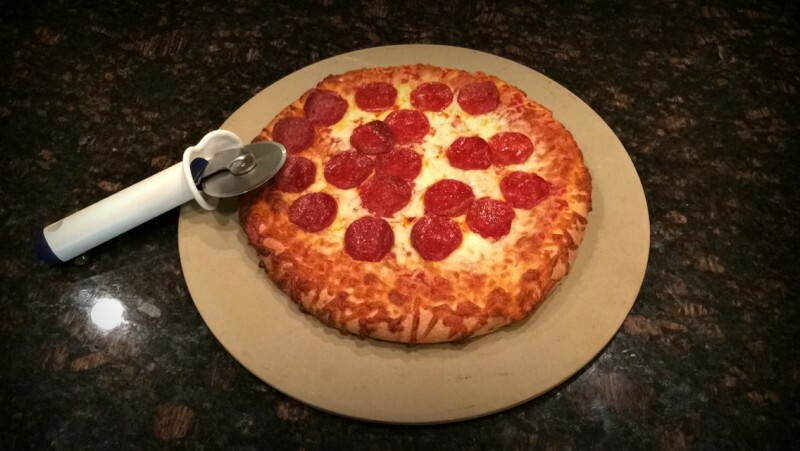 DIGIORNO gives you the best of both worlds; great food your guests will love with minimal time and effort required so you are able to enjoy the game with your friends and family! Let guests know ahead of time that they can bring their own drink of choice. This will not only save you time and money but it also ensures that everyone will be able to sip on their favorite beverage. Just in case anyone forgets be sure to have several options of drinks for everyone to choose from whether you make them yourself or just buy them. 4. Have extra trash cans around. Placing garbage bags, trash cans and recycling only bins in multiple spots around your home will prevent people from setting down their empty bottles and trash throughout the day. This will make post-game clean up a breeze after your guests leave! For all of your other snacks try and avoid the grocery store crowds right before the game and pick up everything you need at least a week in advance. Remember, you can’t have too much food! The goal of the afternoon is no guest leaves hungry. Do any food prep you need the day before your party, like making dips or cutting up veggies. That way come party time all you have to do is set out your food, pop the DIGIORNO pizza in the oven, sit back and enjoy the game. No need to be stuck in the kitchen while missing out on all the big plays and hilarious commercials. 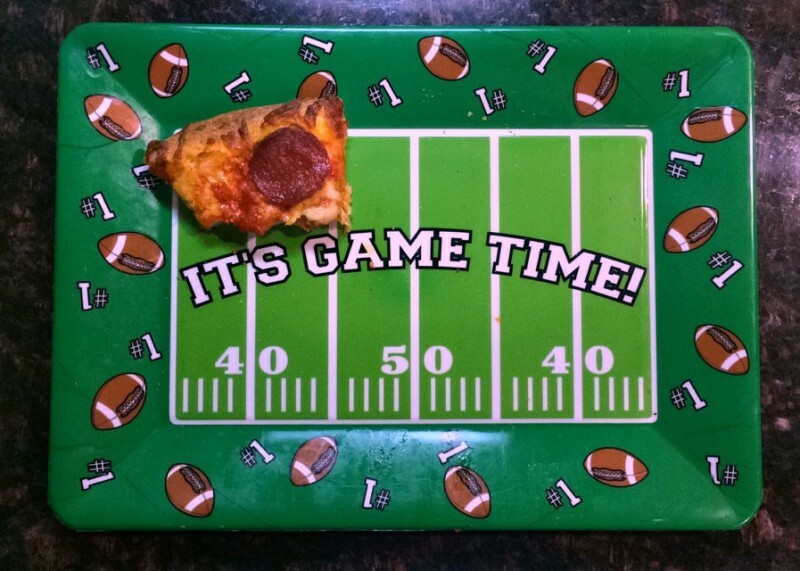 Be prepared for the half-time break where you might have to restock some of the favorite snacks or quickly bake up another DIGIORNO pizza before the second half starts! 6. Test your TV and electronics. Since the TV is the main attraction when it comes to watching the big game, nothing would be a bigger buzzkill then if you have technical difficulties right before kick-off. You might have an angry mob with plastic knives on your hands. So to avoid that make sure everything is running properly the day before and pack some fresh batteries in the remote just in case so there should be no issues. 7. Have plenty of chairs and extra seating available. There is nothing worse than uncomfortably watching a game for almost four hours. Make sure you have ample seating options for all of your guests in different parts of your house for eating, viewing and socializing! People tend to congregate in the kitchen during parties. A trick that can prevent over-crowding in your kitchen is to spread out all of your food options in various spots of your house. This way people can have plenty of snacking options for whatever room they are in. Hosting a party can be chaotic but hopefully these tips will allow you to enjoy the game and your company without being stressed-out. Regardless of the outcome of the game, your guests will be talking about your party for years to come! What does your game-day include? Feel free to share any stress-relieving party hosting tips in the comments!